Did you ever think about the vanilla flavouring when you bake a dessert? How is it made and what it contains? While in Italy I used to buy it, but I couldn’t find it anymore in France. So, I needed to find a solution!! Today, vanilla flavouring is almost always made with synthetic vanillin. It is made from lignin (waste produced by paper industry) or from guaiacol (derived from wood creosote). The final price is extremely high if you think that you only need two products. And most of all, I found how easy it is to prepare it by myself. I still don’t know why it took me so long before I decided to make it. And what is better than made it by yourself, using only two ingredients, real vanilla beans and brown sugar and nothing else? 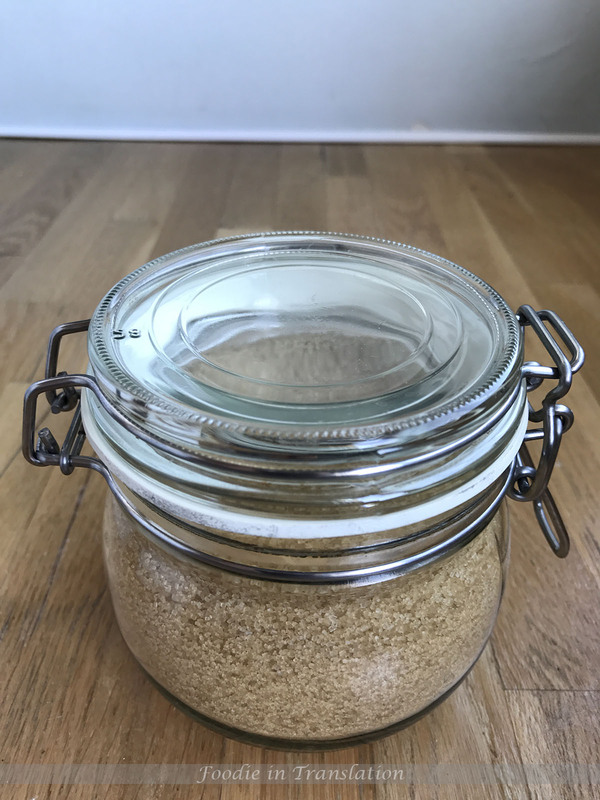 Take a medium glass jar with clamp lids. 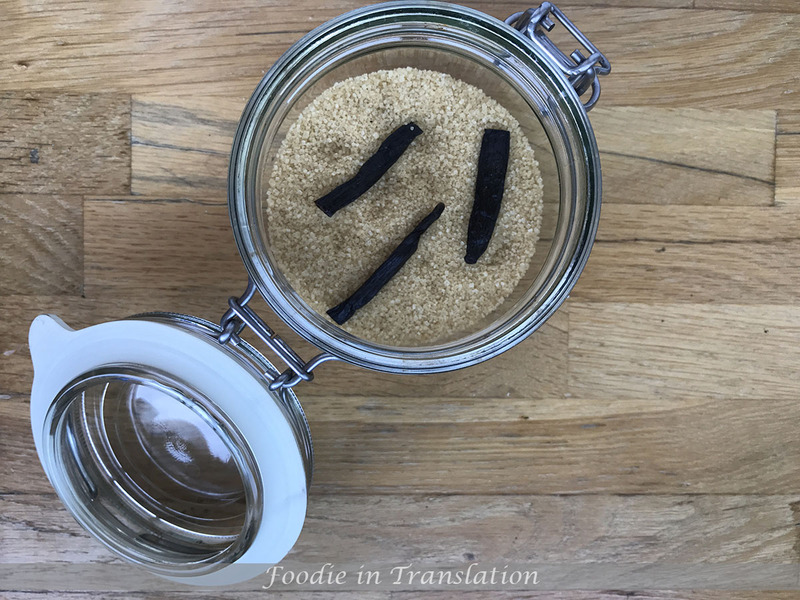 Pour some brown sugar, cut the vanilla beans in 3 or 4 pieces and put the half of them on top of sugar. 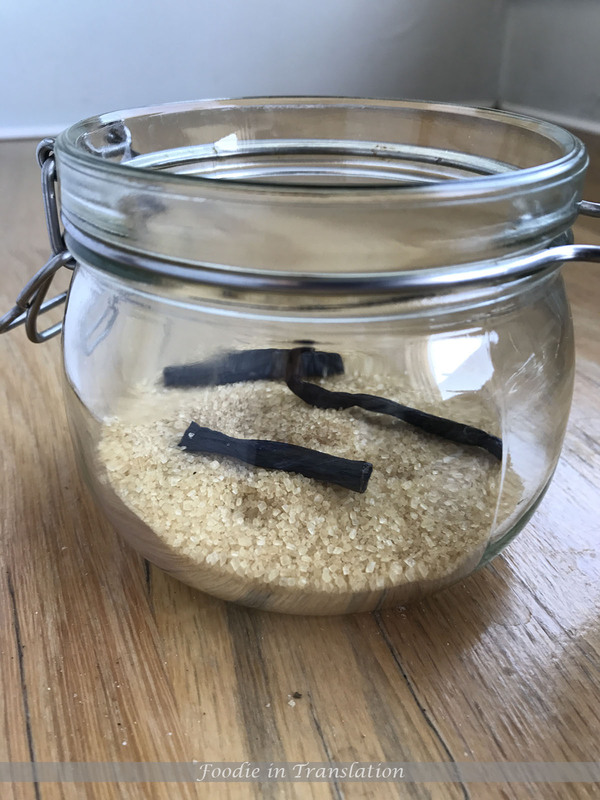 Pour other sugar and other vanilla beans until the jar is full. Close the lid and shake it from time to time for a couple of day. When you open the lid and the vanilla scent is stronger than the sugar one, the vanilla dark brown sugar is ready. You can use it whenever you need it! Easy to make, tasty and healthy!